Scotland’s BrewDog has just introduced something new in the UK, a beer club that’s all about small batch releases and experimental directions, with occasion ‘hits from the past’ thrown to keep things interesting. At BrewDog’s recent AGM gathering, cofounder James Watt announced the launch of Fanzine, a new kind of beer club that will offer subscribers, three brand new beers every two weeks and invites them to rate these new offerings in their initial stages. The beers will be brewed in small batches at the brewery’s Ellon HQ in Aberdeenshire. The exact three beers contained in each release will not be revealed until the delivery date, adding an element of surprise for subscribers. Craft beer drinkers demand a wide variety of beers to choose from, and BrewDog’s latest subscription will allow the scene’s most ardent advocates the opportunity to get their hands on fresh, new beer recipes with a wide variety of flavor profiles every second week. The beers will also appear in BrewDog bars, and will be available to buy on their own or as a flight with a third of each poured. These will land in bars every fortnight allowing those close to BrewDog bars the opportunity to make an occasion of the new three-strong beer release. The Fanzine beer club costs £11 including delivery (£15 for subscribers outside the UK). 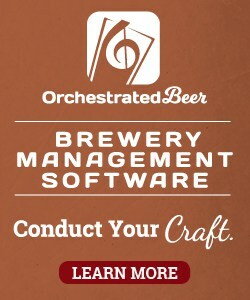 With no annual subscription fee, beer fans will have the flexibility to opt in or out without a long-term commitment. Subscribers will also be given the opportunity to vote for their favorite Fanzine beers to become part of BrewDog’s permanent line-up. Subscribers can expect BrewDog’s unique twists on East & West Coast IPAs, bold imperial stouts, fruit infused saisons, single hop pale ales and various experimental lagers amongst other innovations and twists on traditional styles. The brewery will also occasionally be digging into its back catalogue of brews and resurrecting some of its past fan-favorites. And in spite of Watts’s playful bombast, he does have a point. With Fanzine BrewDog fans become part of the creative process and the brewery get real-time feedback on what they are crafting. It’s a brilliant WIN/WIN deal for everyone and another great idea from the BrewDog crew.